There are an estimated 2000+ native bee species in Australia, about 230 of which are found in the greater Brisbane region. 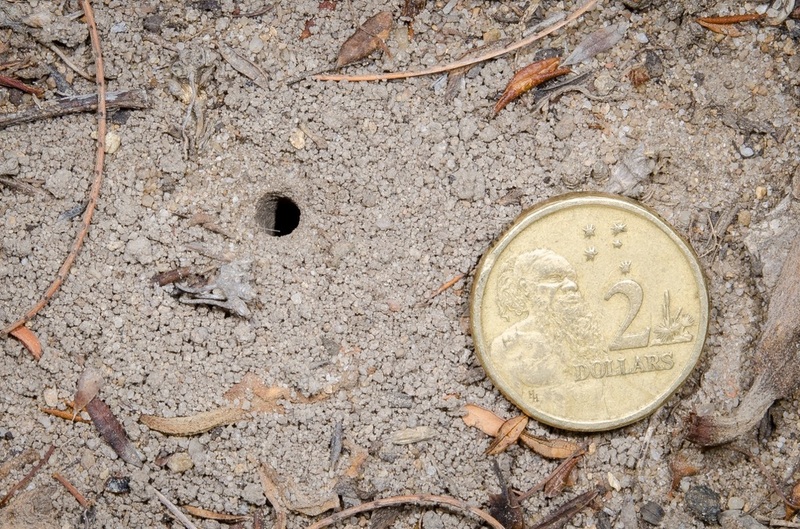 Most of these are solitary or semi-social bee species, which don't make honey and nest as single individuals, often in burrows in the soil. A small number of species are highly eusocial, however, and live in large perennial colonies and make and store honey. These highly eusocial species are the stingless bees, also called sugarbag bees. See the sections below on bee sociality and nesting. When most people think of bees they think of queens, honey and hives. 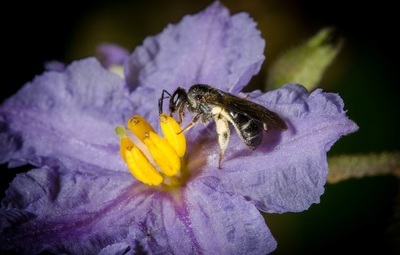 But in fact only around 3% of the world's 20,000+ bee species are highly eusocial and live in colonies. 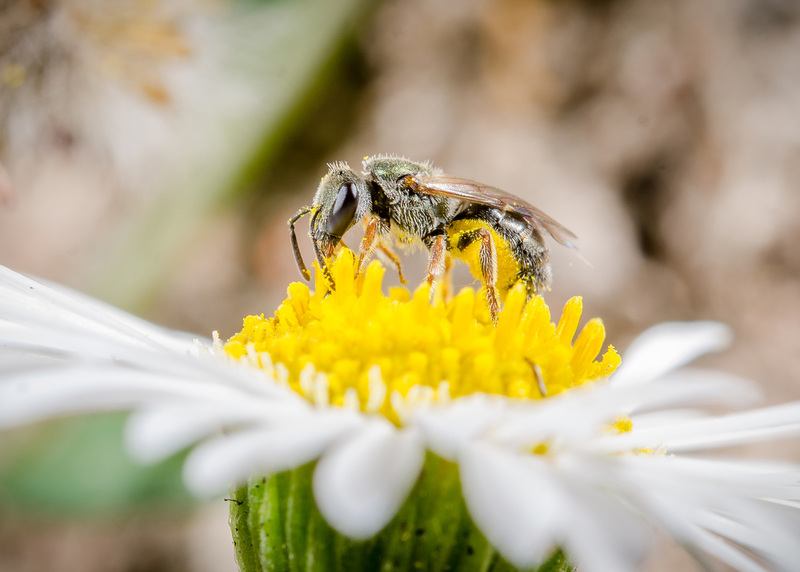 Most of the world's bees are solitary; single female bees nesting and working by themselves, interacting with another bee only when they mate. 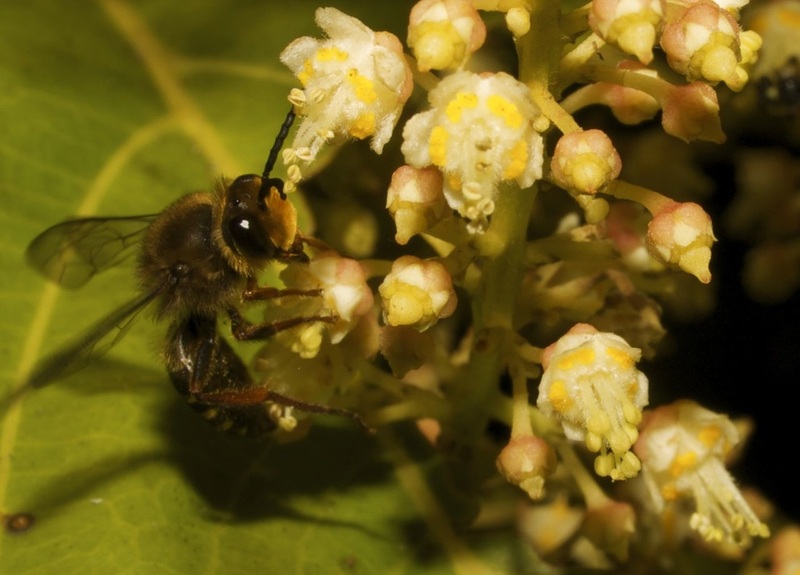 Sociality in bees is a scale, with highly social behaviour at the top end and truely solitary behaviour at the bottom end. 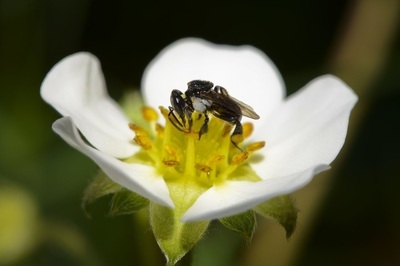 There are, however, many other levels of sociality between these two extremes, including various forms of semi-sociality and primitive eusoiciality. 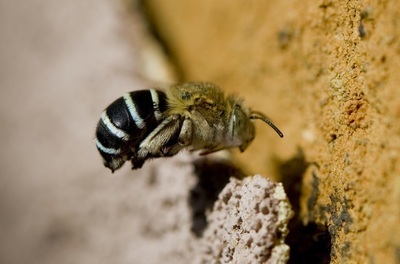 Australia's bees have a diversity of different strategies for nesting. 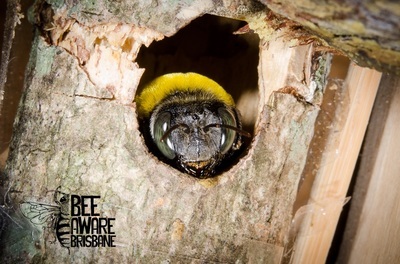 It is important to understand the different locations and materials that bees use to nest, so that we can collectively make better decisions to protect these resources where ever we can. 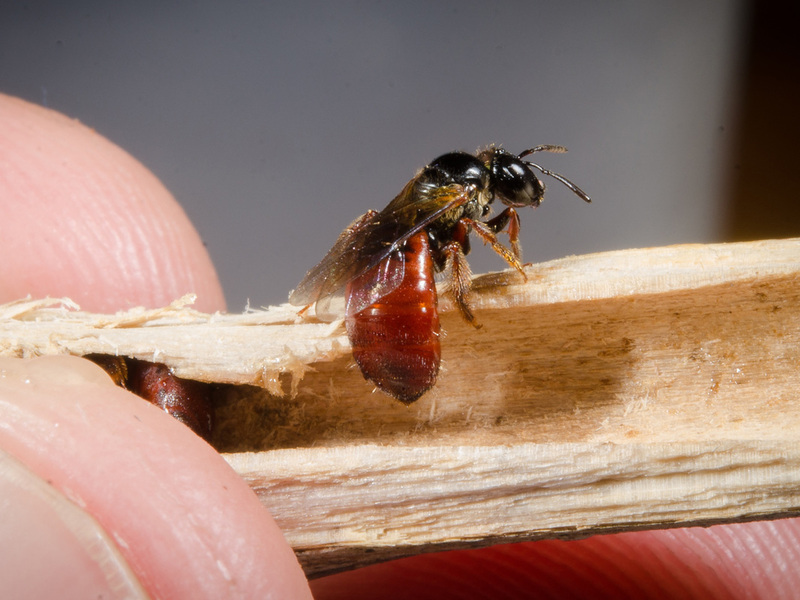 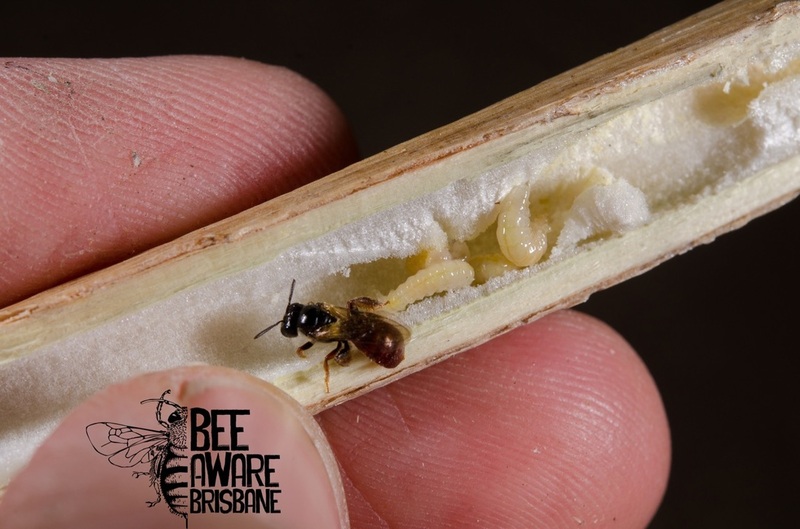 Here are a some examples of common nesting strategies used by Australian native bee species. Most of Australia's bees nest in the ground. These are mostly solitary or communal species. 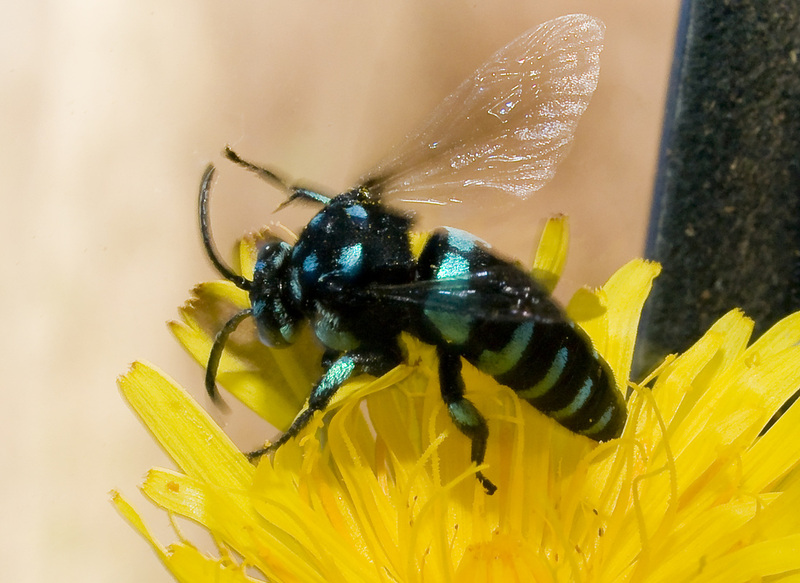 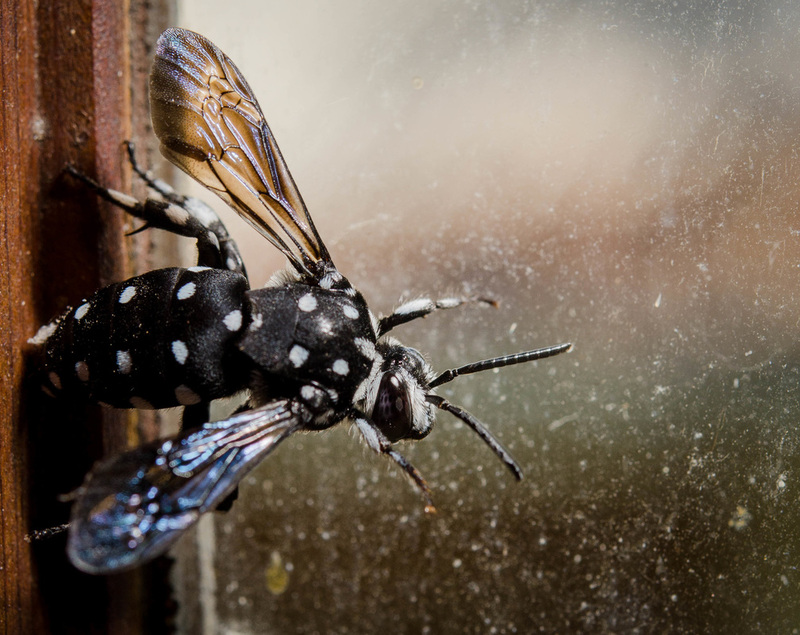 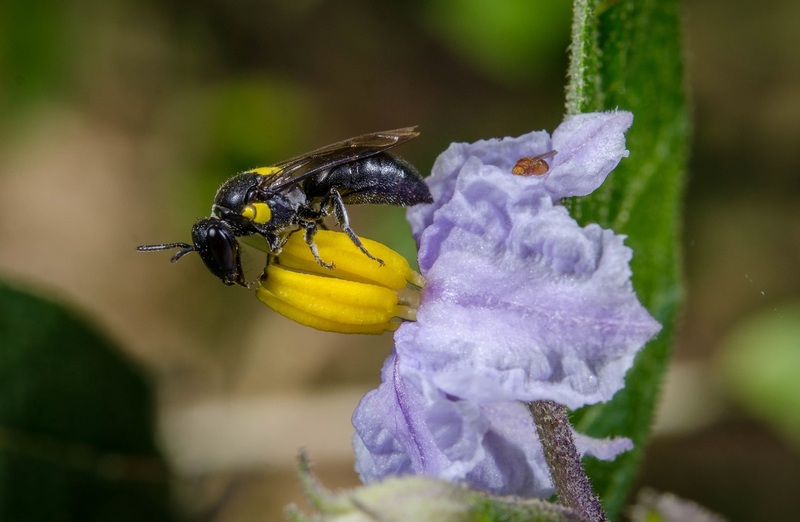 Some of the more common ground nesting bees include blue banded bees and teddy bear bees, and emerald Homalictus bees and green lantern bees. 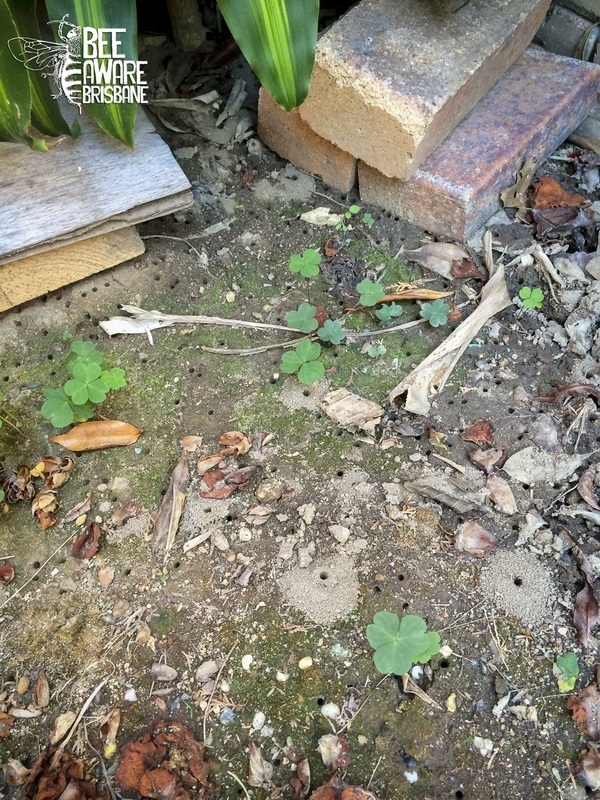 An aggregation of nests of a Lasioglossum species, in the sandy loam bedding fill next to a recently built house. 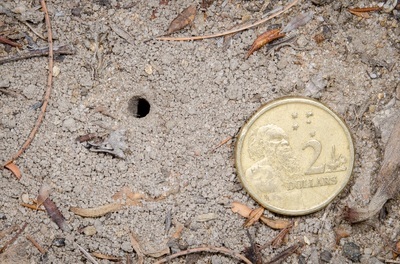 The entrance hole to a Lipotriches nest. 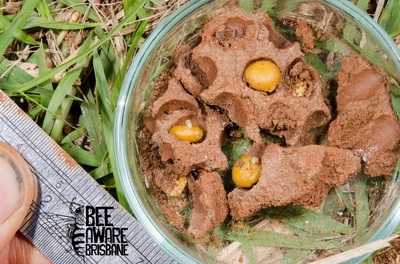 Brood cells of a Lipotriches female, dug up from a depth of 30cm. Broadly, native above ground nesting bees can be divided into two main groups: those that nest in preexisting cavities and those that make their own cavities. 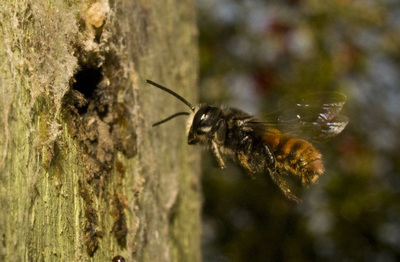 Eusocial stingless bees fall into the first category, as do leaf cutter bees and resin bees. 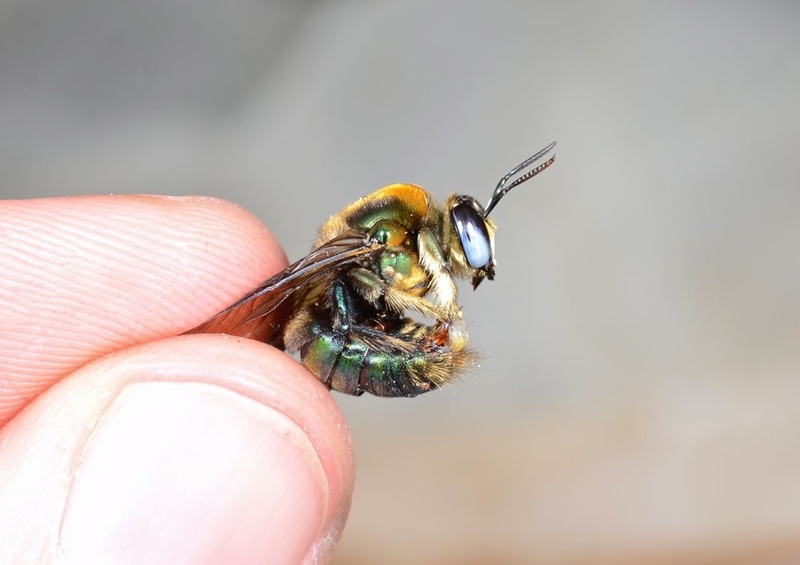 Bees that make their own cavities include carpenter bees and reed bees. 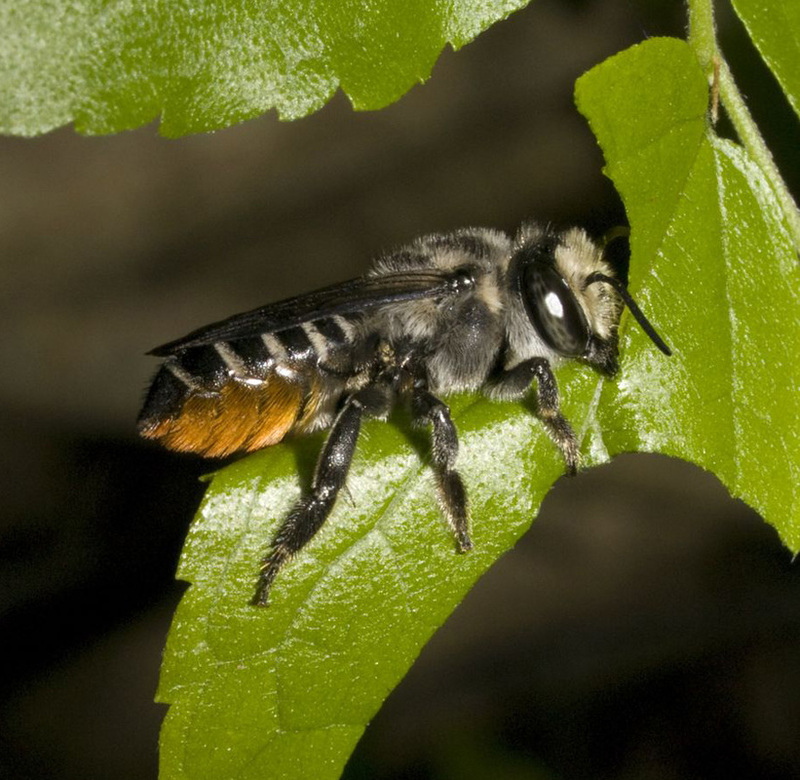 A female great carpenter bee peers out of her nest in a thin tree branch. 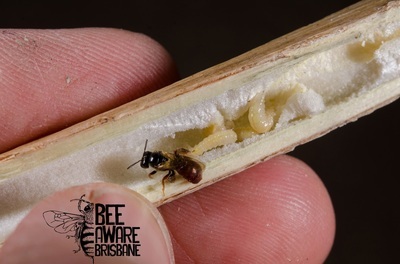 An adult female reed bee, next to some larvae in an opened lantana stem nest. 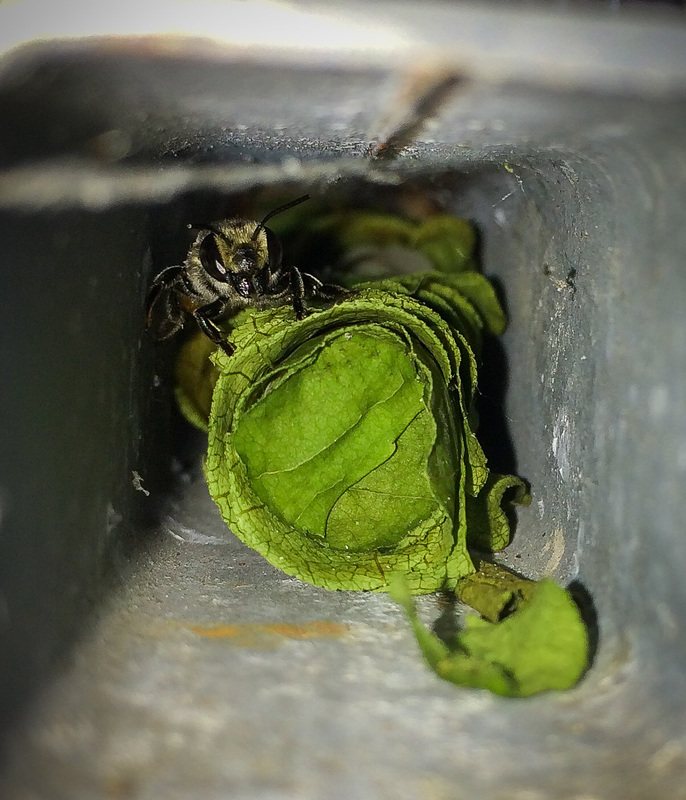 A leaf cutter bee in her nest cavity in a metal gate frame.